Five reasons to charter a yacht in the beautiful Whitsundays! 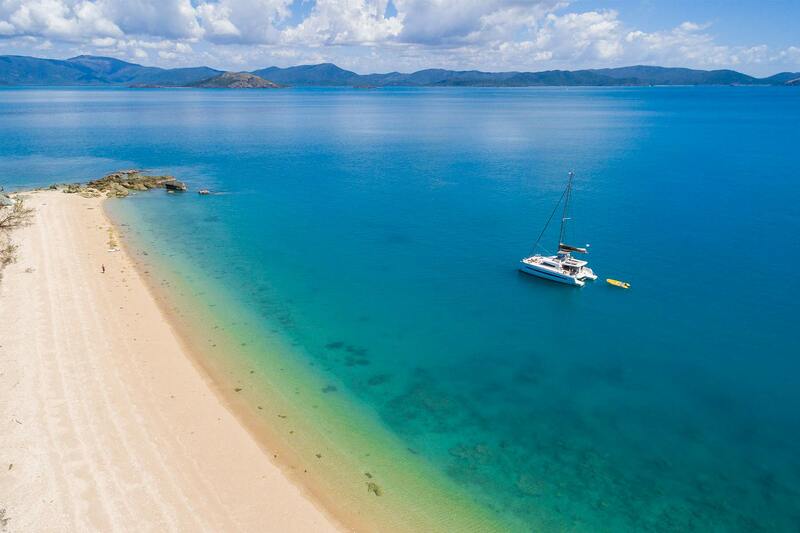 Home » Five reasons to charter a yacht in the beautiful Whitsundays! 1.The Whitsundays are known as one of the foremost sailing grounds in the world and are one of the most popular locations for yacht charter in Australia. Thanks to the Great Barrier Reef, which quite literally puts a cradling arm around the Coral Sea, the waters of the Whitsundays are calm and safe. The Dream Yacht Charter team will help you plan an itinerary before you depart that perfectly suits your needs and takes in the best spots. 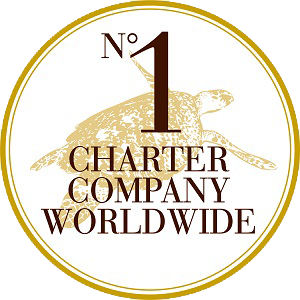 You can relax on your yacht charter knowing the friendly, experienced team is available on the radio if you need them. Line-of-sight navigation between islands also assists in having a relaxing holiday. 2. Dream Yacht Charter bases are carefully selected for their small size and perfect locations away from crowded cities and towns. And the Whitsundays are no exception! The tranquil and secluded region is in tropical North Queensland, Australia, in the resort town of Airlie Beach. The small size means personalised service and you have the option of a sleep-aboard, spending a quiet first night on the boat in the marina before your Whitsundays charter, while taking advantage of the many amenities available. The award-winning Abell Point Marina is a foodie destination in itself, from breakfast at the Kiosk Café, a smoothie and “Boho” bowl for lunch at Bohemian Raw, sunset cocktails and gourmet pizzas on Sorrento’s deck or contemporary Australian cuisine in a stunning waterfront setting at Hemingway’s restaurant. Shopping for your charter is easy with three supermarkets a 10-minute taxi ride away or alternatively, order your food and prepared meals online with Whitsunday Provisioning, giving the cook a real holiday! 3. Yacht charter in the Whitsundays is a breeze as you will be given a full briefing on the region as well as your technical briefing before your Dream Yacht Charter. We have skippers available if you prefer to leave the sailing to us, so you can really relax and enjoy your holiday. The Whitsundays are known for their stunning scenery, pristine beaches and crystal clear waters where holidaymakers on a yacht charter can swim, snorkel and explore the many islands in the dinghy provided with every vessel. Most of the Whitsunday Islands are uninhabited National Parks and are home to a host of native animals and plants. Pack a backpack with water, a hat and sunscreen and set off to walk the many trails that zig-zag the islands while watching out for lizards, skinks and stone curlews. 4. Charter boats in the Whitsundays come in all shapes and sizes and there will be one to suit your group exactly. Dream Yacht Charter offers powerboat hire and catamaran hire, as well as yacht hire, and offers only the highest quality yachts. They’ve partnered with the best shipyards in the world, and take great care to choose yachts that provide sailing performance, as well as comfort and space. The yachts come from such innovative yacht builders as the Bali Catamarans built by Catana, as well as Beneteau, Lagoon, Jeanneau, Fountaine Pajot and Dufour. All yachts meet the highest safety requirements, are very well maintained and undergo regular technical checks. 5. There’s much more to the Whitsundays than yacht hire alone! Following your blissful cruise around the 74 Whitsunday Islands, why not tag on a few extra days to take in all the beautiful Whitsunday mainland has to offer? 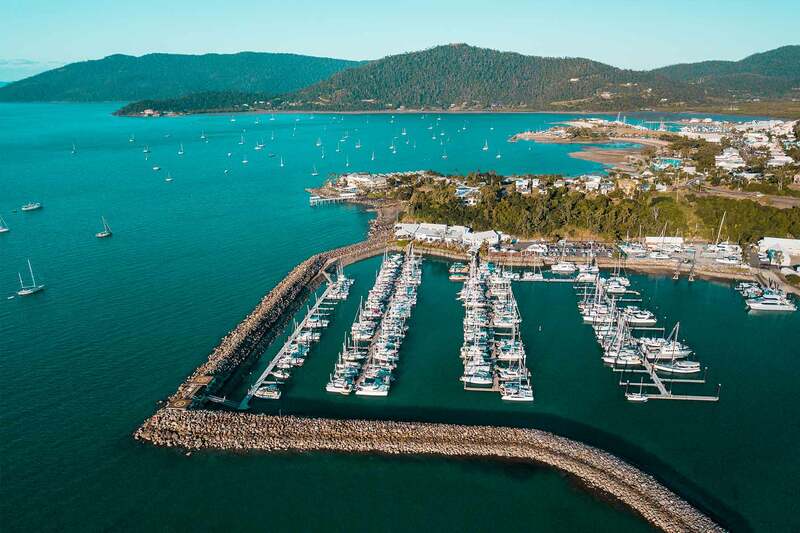 With great restaurants and bars, and an eclectic shopping scene, spending a few days in Airlie Beach after your Whitsundays yacht charter could be just the ticket! There are also friendly country towns, towering rainforest, hidden waterfalls and beautiful beaches on the Whitsundays mainland, all waiting to be discovered.